We’ve seen many small and mid-sized enterprises (SMEs) face similar challenges at work. As their businesses grow, so do problems like systems scalability, miscommunication, and missed opportunity costs. So we’ve partnered with some of the biggest names in the ERP industry to help SMEs boost efficiency, visibility, and control. Think big global brands like SAP, Microsoft, Oracle (for NetSuite), and Sage, who've designed powerful, affordable ERP solutions for SMEs to take advantage of. But that's not all. When you work with us, you'll work with consultants who are qualified accountants and/or certified technical IT professionals. We believe this balance of both financial and technical expertise is essential for your successful ERP implementation. And to make it easy for you to have everything within reach, you can also get your hardware/infrastructure, IT outsourcing services, and Cloud hosting services from us. No more miscommunication with multiple IT vendors. No more unnecessary fuss. See what makes us different, and how we can help you grow your business. 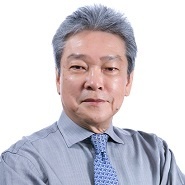 Bernard was formerly CFO for several US-listed MNCs in APAC. He brings a wealth of IT, accounting, and industrial knowledge to the company. Under his leadership, AFON has won regional and local accolades. 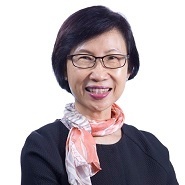 Sophia is a qualified accountant with over two decades of experience across multiple industries in Singapore and the U.S. Sophia currently leads and manages all finance and human resource matters in AFON. As AFON's pioneer consultant, K.C. Lai has close to two decades of technical ERP expertise. He's also a qualified accountant with an MBA in ERP. 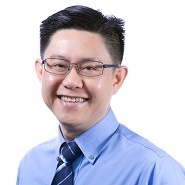 He plays a key role training and leading the ERP consultants in AFON to deliver results. KEEN TO JOIN OUR GROWING TEAM? We’re on the lookout for highly qualified professionals who love all things tech and ERP. Head to our Jobs page for available positions.